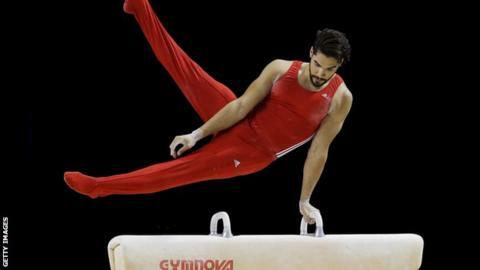 Three-time Olympic medallist Louis Smith has apologised after comments he made about the judges at the recent British Championships led to a rebuke by the national governing body. Having lost out on gold to Max Whitlock, Smith tweeted: "I am actually really bitter. The cut is open and deep and the judges are rubbing salt in it." British Gymnastics issued a statement saying he was "extremely remorseful". Smith, 26, said he realised it was wrong to have "aired my frustrations". He added: "Having had time to cool off and following conversations with British Gymnastics, who have helped me see the consequences of my actions, I realise the way that I expressed my feelings was wrong and it should never have happened. "I want to say sorry to my team-mates, to my fans, to the judges involved and to British Gymnastics for any offence caused."